For the folks who are experiencing the crazy storm of the century which is supposed to bury people alive ….I can’t relate. However, I have a consolation prize to make you feel better. Check out this DIY that my brother came up with when he used to live in New Cumberland Pennsylvania. 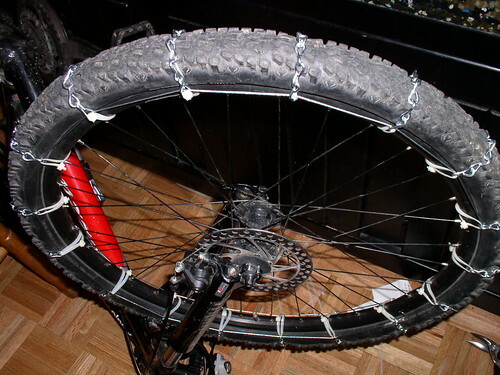 He made his own bicycle tire chains! Previous PostPrevious Want to ride more? Get Fat! Next PostNext Hey 10 Speed!